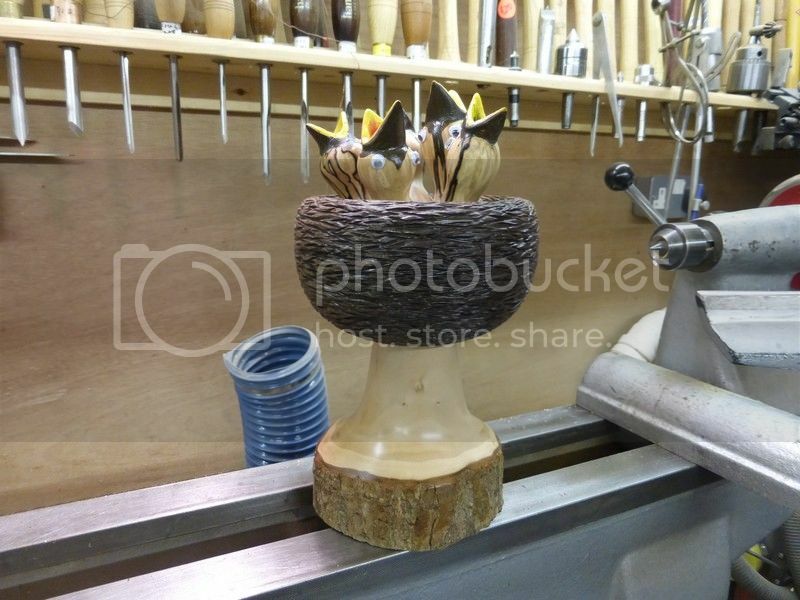 Hi all , just a few pictures of a wood turning / carving project. 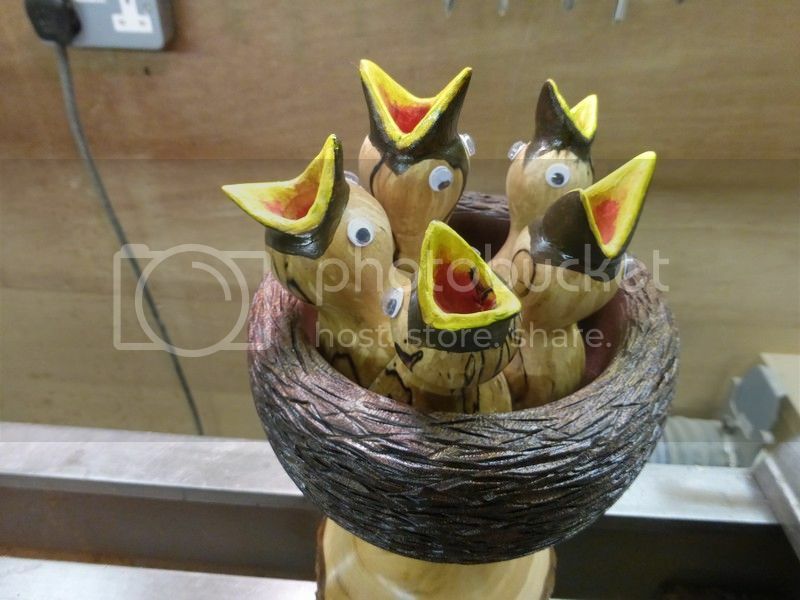 The wood turning club had a theme of a bird, fish or amimal related turning this month and I though of a nest full of chicks. I had to rush it a bit due to other things so its not as detailed or well finished as I would have liked but has the overall effect I pictured in my mind. I did not take pictures while doing it due to rushing but here is the finished job. Excellent!! Now you need wooden worms, because the chicks are hungry. 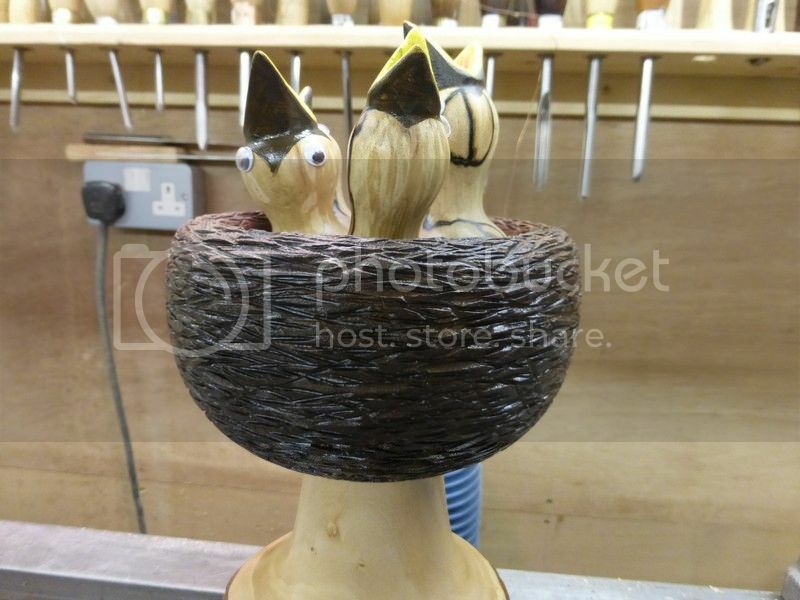 Lovely job Mick, very imaginative too. Very novel and attractive, great for Easter. Thanks for all the comments lads, it seems like everyone that see them likes them . I might try to do some more but make a better job of them this time and not have to rush them.